The Government was working out the necessary details of the Mandatory Building Inspection Scheme by conducting more in-depth consultation with the key stakeholders and taking on board public comments received as far as practicable, the Secretary for Housing, Planning and Lands, Mr Michael Suen, said today (November 24). 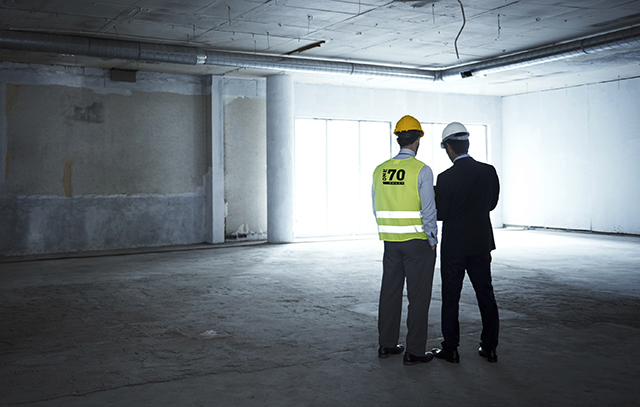 Independent building inspections is a Melbourne based building consulting company specialising in Residential, Small Commercial and Light Industrial buildings. Mr Suen was addressing the Joint Institute Conference on “Urban Survival” organised by The Hong Kong Institute of Architects, The Hong Kong Institution of Engineers, The Hong Kong Institute of Planners and The Hong Kong Institute of Surveyors. “In our society’s quest for a better and safer living environment, tackling building neglect must be given a high priority on the agenda,” he said, noting that it was generally accepted as a truism that a safe and sustainable environment was an overarching goal for urban survival. Mr Suen said after the injection of substantial efforts and resources into fostering a building care culture within the community, it was encouraging to see a gradual change in owners’ mindset about the importance of proper building care. To put in place a more permanent solution to resolve the long-standing problem of building neglect, the Government had also conducted a two-stage public consultation exercise on building management and maintenance to seek community consensus on the principle and the approach to tackle the problem, Mr Suen said. During the consultation, the Government received a substantial number of views in favour of a longer inspection cycle to allow more time for owners to comply with the inspection and rectification programmes. “From the building safety angle and the need to strike a proper balance between ensuring building safety and minimising owners’ burden, we are now considering the feasibility of a longer inspection cycle, say, every 10 years, by reference to the date when Buildings Department last issued the mandatory inspection notification to owners,” Mr Suen said. Also to address the community’s concerns about the quantity and quality of service providers, Mr Suen said the Government was considering allowing more professionals with sufficient qualification and relevant experience to carry out building inspections. “This will give due recognition to those professionals qualified for the inspection task and maximise the use of their expertise for the benefits of the community,” he added. Mr Suen, however, emphasised that the Government would not go after the “quantity” of building inspectors at the expense of “quality”. “To achieve this, we will consider creating a separate register by law to uphold the professional standard of building inspectors. The Buildings Department will, in consultation with the relevant professional institutes and industry, examine carefully the qualifications and experience of the professionals who will be eligible for registering as building inspectors. “Upon the launch of the scheme, the Buildings Department will also put in place all the necessary relevant measures to ensure the standard and quality of service providers, including promulgating detailed guidelines for the building inspection and rectification works,” Mr Suen added. While the Government’s consultation had pointed to a community consensus that owners needed to keep their properties in good conditions and to bear the necessary costs, the Government was always mindful that some sectors of the community might lack the financial means and technical know-how in complying with the scheme requirements, including some of the elderly and low-income owners. “We attach great importance to coming up with ways to provide assistance to those owners in need for them to comply with the requirements under the scheme,” Mr Suen said. Currently, the Hong Kong Housing Society (HKHS) and the Urban Renewal Authority are providing assistance to owners in need in discharging their duties to properly manage and maintain their buildings. “To support the smooth and full implementation of the future mandatory building inspection scheme, we are glad to have solicited HKHS¡¦s agreement to further strengthen its financial and technical support and assistance to owners in need, premised on the success of its Building Management and Maintenance Scheme. HKHS will also work hand in hand with the Government to facilitate owners in forming owners’ corporations,” Mr Suen said. Mr Suen said that HKHS, with the assistance of relevant bodies, was also working on the establishment of a voluntary building classification scheme (VBCS) to give due recognition to buildings with proper maintenance and sound management. “To give incentives to buildings accredited with good ratings under the VBCS, we will consider allowing such buildings to be exempted from the mandatory scheme,” Mr Suen said. The Government plans to announce the results of the public consultation and details of the Mandatory Building Inspection Scheme early next year. Previous Previous post: How to Get Your Building Permit Quickly!